Losing a tooth can extremely be overwhelming as it would affect the way you look and prevent you from smiling with confidence. Replacing the missing teeth with dental implants will help you gain the confidence from an appealing smile that looks and feels natural. 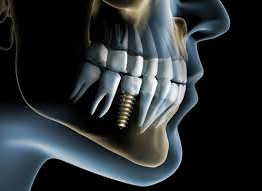 At Greenwood Plenty, we have a team of highly accomplished and experienced oral surgeons who are expert in placing dental implants and providing the best dental care to our clients in Bundoora and surrounding suburbs. Perfect for single tooth & multiple teeth replacement and over-dentures. While conventional dentures and bridgework can help enhancing the appearance of your missing teeth, they are uncomfortable and inconvenient. In addition to being more aesthetics, our dental implants make you feel and function like natural teeth, without imposing any pressure on your adjacent teeth. With excellence as our priority, we hope you will choose us for your dental implants! For appointments, call us on 03 9466 7843. Address: 1158 Plenty Rd, Bundoora VIC 3083.